There is also a thirst for new writers which goes unquenched – again because it’s not easy to find their books in the bookshops. What a shame, considering how difficult it is for new writers – not to mention those from the Caribbean, especially if they reside there – to get published. Yet, undaunted, the young aspirants continue to spill out of creative-writing classes and workshops yearning to have their voices heard. Caribbean writers are increasingly being published by small presses in the UK, US and Canada. 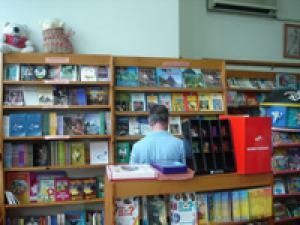 Several of these publishers have said they have a tough time trying to get mainstream bookshops to stock their books. Those writers who opt for self-publishing find it even more of a hassle to get shelf space for their books in the bookstores. For a long time I’ve been researching the structures of the international book trade to try and understand their ramifications for Caribbean authors and publishers of Caribbean literature. I can’t help it – I’m obsessed with books and publishing. Gradually, I came to realize that our writers have to start thinking outside of the box and find new and innovative ways to promote and market their work. This prompted me to dig deeper to try and discover what it is that our writers are not doing, and ought to be doing if they are to get the recognition and sales they deserve. No doubt, there’s need for change – massive change. Otherwise we may well be faced with a situation where our literary griots end up being relegated to a state of obscurity and irrelevance. To avoid this they must find new mediums to draw attention to themselves and their work. It can’t continue to be done the old way. Times have changed. The marketplace has changed. For well over half a century our writers (both established and would-be writers) have mostly focused on trying to get their work published. Difficult as that is, they soon discover this is actually the easy part. The real challenge is how to get their books onto the bookshelves and into the hands of readers. Indications are not enough attention has been placed on devising effective and cost efficient ways to locate potential readers wherever they are, and to entice them to buy the books. Because the Caribbean Diaspora is so widely dispersed, and because there are relatively few bookstores in the region and in the metropolitan countries selling Caribbean books, it means that writers have to find new ways to get their work out there and into the hands of people who are yearning for books they can relate to and that speak to them in authentic voices. There’s also need to broaden the range of literary genres to cater to different tastes. Gone is the golden age of Caribbean literature which reached its zenith in the 60s and 70s. Back then writers could count on the two venerable publishing houses Heinemann and Longman to provide a home for their work through their “Caribbean Writers Series”. Prior to that, BBC Caribbean Voices gave a voice to the voiceless. More recently, Macmillan and the veritable David among the publishing Goliaths, Peepal Tree Press have stepped in to pick up the slack. With the exception of Peepal Tree and, to some extent, Macmillan (though they seem to be placing more emphasis on publishing school text books) all the other players have scrapped their Caribbean imprints under pressure from their accountants and the demands of the marketplace where corporate acquisitions, mergers and profit maximization became the new games in town. Their rationale – either implied or stated outright in hushed tones among sympathetic listeners – not enough Caribbean (read Black) people read to make this line of publishing financially worthwhile. It seems quite a bizarre presumption when you consider that that in the English-speaking islands of the Caribbean there is an estimated population of 5,444,762 (CIA World Factbook 2009 estimates). The Jamaican population in New York alone is estimated at 439,400 www.nyu.edu/jamaicans. Add to that the Afro-Caribbean population in the UK estimated to be over 400,000 www.mind.org.uk/help/people; and the 783,795 people in Canada who are identified as black (2006 Census by Statistics Canada; www.eng.fju.tu/worldlit/caribbean) Altogether you come up with a population of 7,357,357 people who are overwhelmingly of Caribbean descent. This figure does not include people of Caribbean descent throughout the USA, Africans and African-Americans in the US, the African population in the UK, and Caribbean people of Indian descent in Canada. That seems quite a sizeable pool for Caribbean publishers and writers to try casting their net. Where there’s a will, there’s a way! There’s also the view that books that sell in one island may not sell in the other islands (Jamaicans eh interested in what Lucians or Dominicans have to say). How are these books being promoted in the various islands, if they are at all? What strategies are being used to capture readers’ attention? Can they be adapted to suit each island in ways that are targeted and cost effective? Writers, book lovers, creative-writing tutors, is there a way we can put our heads together to try and come up with ideas about how we can spread the word about books we’ve read and enjoyed – books that we think deserve to be read by others. If the book is a good read, I bet there are ways of catching the eye of potential readers no matter where they are, as long as it’s easily accessible and affordable. Surely there must be some things that we can learn from our musicians who have found ways to cross boundaries and win fans, regardless of their musical genre. The good news is that there is a powerful new realm of opportunity that has opened up to the literary world. It’s the Worldwide Web and it offers writers some amazing tools; Facebook, Twitter and other social networking sites, online bookshops and virtually-free online publishing platforms, electronic book readers, (including the iPhone), book-review and promotion blogs and websites, online book clubs, Skype software that enables users to make low-cost international video and voice calls, send instant messages and share files with other Skype users, print on demand (POD) publishing, viral marketing, and that’s just to name a few. Recently I was reading the comments thread of an online message board where book readers were discussing the difficulties they encounter when trying to find Caribbean books. I was struck by the number of persons (virtually all of them) who said they bought most of their books off the internet for the perennial reasons – not enough Caribbean bookstores and not enough Caribbean books on sale. Jason Epstein, the former editorial director of Random House, was recently sounding the death knell of traditional publishing. “We’ve come to the end of the Age of Gutenberg … Anybody can be a publisher, anybody can be a writer. The traditional filters are now going to fail – publishers, editors, critics, and so on.” At the time he was delivering an address at the Harvard Book Store in Cambridge, Mass., where his company, On Demand Books had just installed a new standalone Espresso Book Machine. Writers can use the machine to publish their books themselves. www.blogs.wsj.com/jasonepstein. Commenting on the issue, the publisher of Akashic Books, Johnny Temple said, “The best way to [get people to read books] is to bring books to the public as opposed to expecting the public to come to books … We need to be proactive about it.” www.brooklynpaper.com/johnnytemple. In her book entitled ‘The 010101 Book’ based on an extensive 10-year study (1993-2003) about digital technology for books, information science and linguistics expert, Dr Marie Lebert noted: “The Internet has considerably reinforced the relations between the authors and their readers … Thanks to the Web, a writer can now post his work, sell it or discuss with his/her readers without any intermediary.” www.etudes-francaise.net/010101book. A sign of things to come is Amazon CEO Jeff Bezos’ recent disclosure that titles sold via Amazon Kindle e-readers has, to date, accounted for 48 percent of total book sales in instances where Amazon sold both digital and physical copies of books. Amazon has now begun selling a new version of the Kindle that can wirelessly download books both in the United States and in more than 100 other countries. The increasing demise of independent bookstores around the world is a sad reality of the revolutionary changes in the book trade. The writing was on the wall with the rise of predatory behemoths like Amazon, a creature spawned from the Internet. Caught between the likes of Amazon and Barnes & Noble, the poor independents are gradually being steamrollered into oblivion. Moreover, there’s a growing psychological shift away from the old way of doing things as the world becomes increasingly mesmerized by the technological wizardry of cyberspace. The tide is much too strong to ignore. Writers risk being swept away if they do. We’ve got to find ways to make it work for us rather than against us. All the more so if you’re a Caribbean writer, bearing in mind that your potential readers are dispersed in almost every corner of the globe. The internet can help you surmount the barriers of distance and make you more accessible to readers and vice versa. New talent can get the opportunity to bloom and be discovered quicker if the medium is used creatively. The longer we take to adapt and change our modus operandi, the greater the risk that we might lose the next Derek Walcott or Elizabeth Nunez, without even realising it. And with the worldwide economic slowdown taking a toll on publishers and booksellers alike, getting published will continue to be a challenge, especially for writers from the Caribbean. Jah Bless Peepal Tree – the rock upon which He is now building Caribbean literature. Yet even they will not be able to give a voice to all those who yearn to speak out – as much I’m sure they would love to. Says Claudette Beckford-Brady: “If anyone has any great ideas let’s hear ’em!” I hear you, and I have lots that I’d love to share. With Caribbean Book Blog my aim is to plant a seed that will hopefully grow into a virtual community of writers and booklovers who could meet online to chat about Caribbean books in ways that would help to promote our literature and our authors, and exchange ideas about how there could be more interaction between writers (especially new ones) and readers. The road to literary success can be a difficult and frustrating one. As all writers know, it’s easier to bear when you walk it with friends who understand what you’re going through. We need to extend our discussions about books beyond the halls of academia and take them down to the grass roots. Let’s get those books into the hands of people who are longing to read them. Let’s encourage our people to read more. Feel free to let me know what you think of this post. Your feedback is always welcome. Tony, fabulous article. Very informative and extremely well put together. I’ve not had time yet to follow all the links listed, but believe me, I will. Thanks also for quoting my itzcaribbean article. I look forward to interacting more with you on this subject matter. Meanwhile might I suggest that you submit the article to other media sources such as itzcaribbean (if you haven’t already done so – haven’t had a chance to check yet) and also to http://www.jamaicans.com where it will potentially reach a much wider audience. We really do have to put our heads together and try to set up a network of writers/readers and find creative ways of getting our books to the readers who want them. Imagine if we could really get our work out to all the Caribbean people throughout the entire Diaspora…! Great article I must admit I have not read a great deal from Caribbean authors but that is now soon to change. Off topic, in regards to your post on the forums, the comment page seems to be working fine. This is a truly well written and researched piece. Congratulations on this meaningful contribution to the cause of Caribbean publishing. I am sharing this article with the staff at CXC because all that you have said is totally convergent with what we are trying to do strategically. From the perspective of school texts, we are pushing hard to ensure that regional publishers (who are ethically straight!) are facilitated in that arena while working with foreign publishers to add value that cannot currently be obtained within the region. We are also reaching out to the Caribbean Diaspora in many ways – to the regional intellectuals who are working in universities abroad to participate in exam preparation/syllabus development; to the offering of exams (Caribbean History, Caribbean Studies) to second generation Caribbeans. Your article will help us to define more clearly where we are going and we will happily include you in this debate. Thanks everyone for your kind words. You give me even more reason to have faith that the future is bright for Caribbean writers and publishers! Great blog, Tony, and your analysis of the situation facing Caribbean writers is superb. No, there’s no way Peepal Tree can publish everything we’d like to, but the more books you sell, the more you can publish. The writers need readers, and writers need to be readers! We too think the future’s bright, this is a time for making connections, discovering one another and working together to spread the word about the richness, quality and continued evolution of Caribbean writing — and get more people reading, and buying the books. Wow! Thanks so much for this article. I think as Caribbean writers we are now living in an age where we have to be more proactive in the process of marketing our work and using all the resources at our disposal to do so. I think it would be wonderful to have a conference for writers in the Caribbean to discuss publishing opportunities and new marketing strategies. Why aren’t more bookstores in the Caribbean sponsoring writers within the territory to come and read and share their work? Let’s continue this important dialogue. And big up to my publishers, Peepal Tree Press. Grateful for the work they’re doing. This article articulates a lot of the frustration (access, opportunity, finding readers, staying in print) experienced by Caribbean writers and the opportunity (the Internet and related tools). With the reissue of my first book – The Boy from Willow Bend, I’m capitalizing on the latter a lot more than I have in the past and while I’m still far from being a bestseller I find I’m reaching new readers. One of the truest things you’ve said is we think getting a publisher is the hardest part, but (hard as it is) really it’s only the beginning. If I knew then what I know now. It does take away from the time and energy I have to give to my writing, and I’m still working on finding that balance, but I’ve come to terms with the fact that self-promotion (ugly word) is part of the process and the Internet is in many ways leveling the playing field. This blog is a brilliant idea. I thank you for thinking about it and carrying it through. It’s a much needed vehicle to drive Caribbean writing to the attention to not just Caribbean people, but to the world in general. A very interesting artcicle. We are an association (ASCODELA) which is working in the same field: for a better knowledge of Caribbean literature. But we are including in our interest writers of the 19th and the beginning 20th. Please, visit ascodela.over-blog.com and you see that we are brothers. Faithfully, J.C.N. The greater the truth, the greater the libel. Those of us who chose to suffer home know only too well the horrors of writing without hope that people will read our stuff, far less the expectancy of being published. Thanking you for your thoughts on behalf of all of us dispossessed literary afficionados. Great article on the need for C’bean writers and publishing opportunitites. The world is full of people who crave for literature and writings from the region. The plight of the writers within their region is nothing new; however, the internet, blogs, facebooks, twitter and others have given writers and art ethusiasts access to a wide range of stuff from the area. Don’t give up. The market is out there. A really great read. Hopefully we will see more of our works out there, as we do have some exceptional Authors in the Caribbean. A very well-written and informative piece. I wrote my first novel ‘Born in the Briar Patch’ in 2009 and its sequel in 2010. From my readers I heard statements like, I couldn’t put it down, a real page turner and when will this be on the big screen? These novels are about life in the Caribbean during the post slavery, colonial times. In spite of all this, I cannot find a publisher or agent who is interested in these works. (Caribbean literature?) My last novel was ‘Just one Handful of Snow … the life of the Caribbean woman, educated or not, who entered Canada in the 1960’s to work as domestics. I do agree we need more Caribbean bookshops for our literature is beautiful. Heres a great site for ya! I have a thousand “remainders” of a gorgeous hardcover book, “Birds of the Caribbean,” with 248 pages, 112 original watercolor paintings of birds. How can I find buyers in the Caribbean? LIbraries, stores, people.